We’re living in a century that’s positively oozing with cutting-edge trends, where to be different is a genuine cause for celebration. Therefore, if you wish to be different and add your very own personal twist to your wedding day, what better way to do it than by looking for an alternative to the traditional wedding cake? Indeed, gone are the days where a two to three tier fruitcake was the absolute norm in weddings. 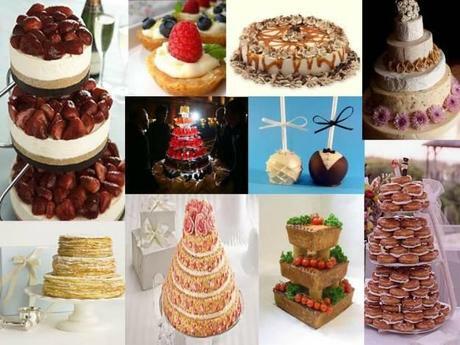 Nowadays, there are quite a large variety of options which you can adopt to replace the traditional wedding cake. The most common alternative is the cupcake arrangement: a particularly delicious and visually striking edible treat, the cupcake arrangement is slowly trickling its way in most weddings. With this particular type of cake, you won’t have to waste any time in cutting and packing the cake for your guests to take home. They can help themselves to a cupcake and you can even provide a few take-way boxes for those who wish to take their cake home. The mess is also quite contained since there won’t be any crumbs or icing falling to the floor! 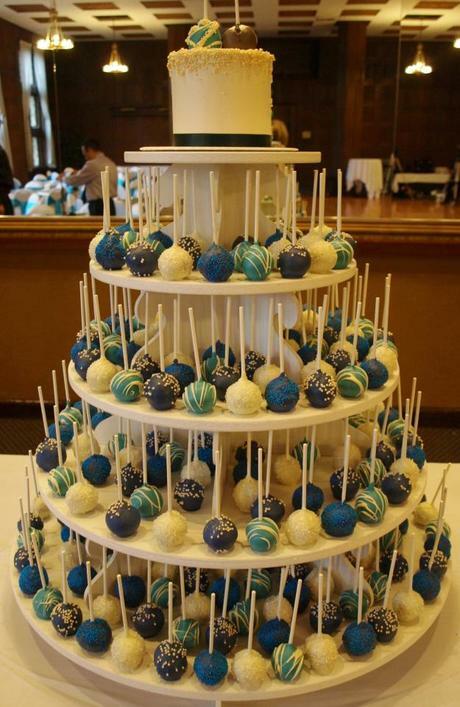 Another emerging alternative to wedding cakes is the cake pop arrangement. This is mainly done by creating chocolate-covered balls out of traditional sponge cakes. Each pop is then served on a stick, which makes it easier to eat. Indeed, thanks to the cake-on-a-stick pop, you won’t even have to bother with dessert forks and the likes. Don’t hesitate to mix and match the flavors instead of sticking to just one. For example, you can always ask your baker to create an assortment of chocolate, toffee, fruit, nougat and coconut cake pops. 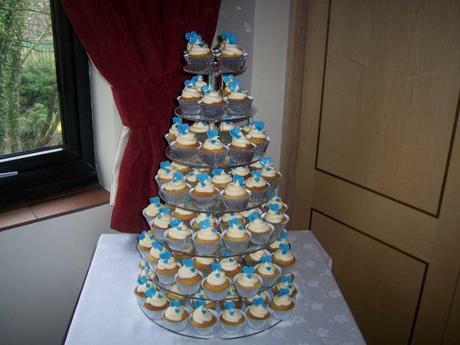 A really romantic touch would be to draw the newly-wed couple’s initials in icing sugar across each pop. 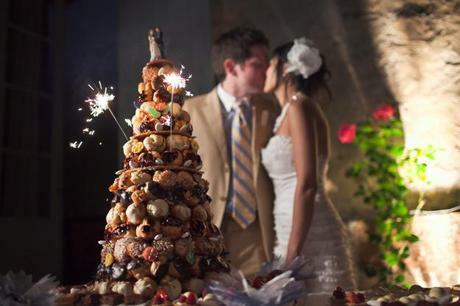 An extremely popular substitute for classic wedding cakes, the Croquembouche is a highly elegant delicacy that will never fail to impress your guests. Entirely crafted from profiteroles and held together by luscious glazes of spun sugar, the Croquembouche can be served with any filling of your liking, the most popular being chocolate, ice cream, custard and whipped cream. 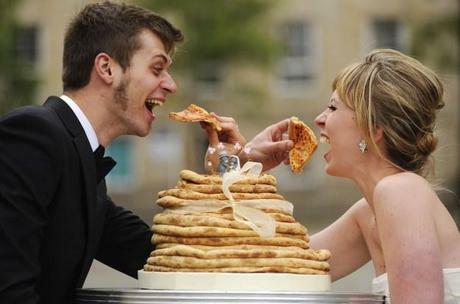 Alternatively, if you’re the type of person who has no qualms with exploring new boundaries, consider going for a pizza cake for your wedding day. This unique delicacy consists of several thin crust pizzas stacked on top of each other and it is customarily cut with a sword. In France, another trendy substitute to classic wedding cakes is the crepe cake, which basically consists of several thin crepes stacked up on each other.